How does a Government Shutdown Affect Social Security Disability? You may have heard there was a three-day government shutdown that happened over the past weekend. Why does a government shutdown happen? When Congress cannot decide on a spending bill before the old one expires, a shutdown occurs until a new bill is decided upon. Currently Congress passed a short-term spending bill on Monday, extending the deadline for a final bill until February 8th. In the case that there is another government shutdown to come potentially in February, we want to answer any questions you have on the topic. Will I still get my Social Security disability payments? Yes! Social Security and disability checks still go out to recipients. If you’ve already been approved for Social Security disability benefits, you don’t have to worry. In the case of a government shutdown you will still get your monthly payments. Can I Still Apply, Appeal or Attend a Hearing for Disability Benefits? For the most part, the process of applying for disability benefits does not stop. Social Security additionally keeps essential employees during hearings in a shutdown, such as decision writers and support staff for administrative law judges. 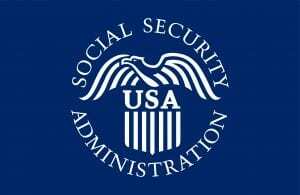 Are Social Security Administration Offices open? Social Security offices are still open. However, there are a limited number of employees in the office who are critical to services that continue during a shutdown. As stated above, not all services are available. These offices may tell you to come back after the shutdown is over. The Social Security Administration’s website is always available to you, even if an office cannot help at the moment. Is Liner Legal Open During a Government Shutdown? Our office will always be open during a government shutdown. Even if the government isn’t working, our staff will continue to fight hard to get you the disability benefits you deserve. If you have any further questions about how you’re affected by a government shutdown, give our office a call at 216-282-1773!